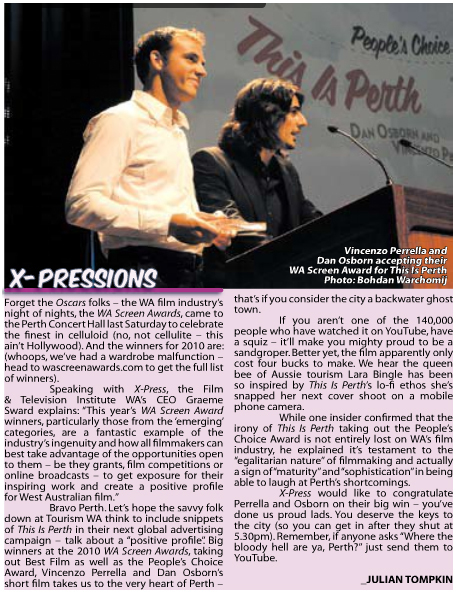 This is Perth has won Best Film at the WA Screen Awards. Held at the Perth Concert Hall on Saturday, the awards recognise the achievements of the local screen industry. The film also received the People’s Choice Award, which is decided by popular vote at public screenings held in February. The awards are judged by industry specialists who selected the film from a record number of entries this year. The two major prizes reflect both the popular and critical acclaim that This is Perth has received since its release online in late August 2009. We are happy to announce that This is Perth has been nominated for Best Film, Best Direction and Best Editing at the WA Screen Awards. It has been selected from a record number of entries this year. The WA Screen Awards is the state’s premier film and television event, celebrating the innovation and achievements of Western Australian filmmakers. You can vote for This is Perth for the People’s Choice award by attending a screening this Thursday 18th of Feb at FTI cinema, Fremantle: More details here. 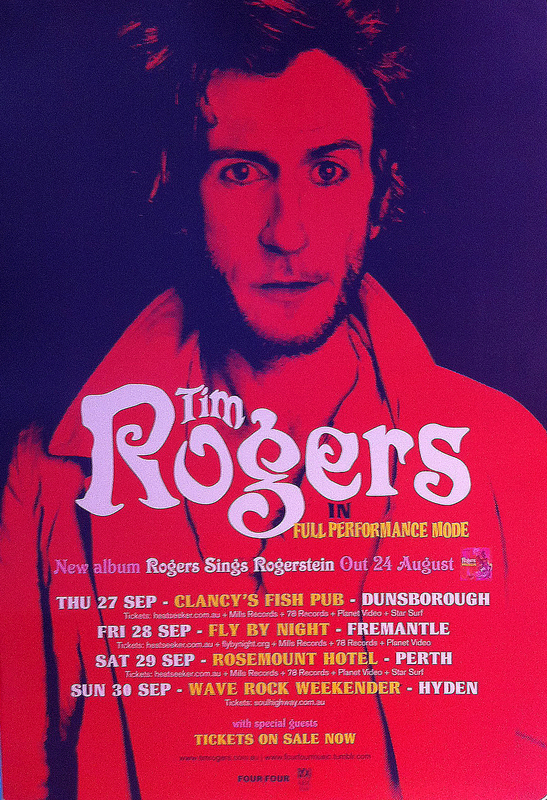 Singer-Songwriter and This is Perth screened in North America last weekend, as part of the Denver Underground Film Festival. Amy Broadfoot of Amicko FIlm, currently doing a two month North American networking tour, came across the Starz Denver film institute and DUFF while working with a film sales agency in Prague, and last weekend at DUFF she presented four Australian shorts, and spoke on independent film marketing.